Drill angled holes or straight holes on a slope. The new kid on the block in the Hydra-Drill model line up is the Ground-Hawg. 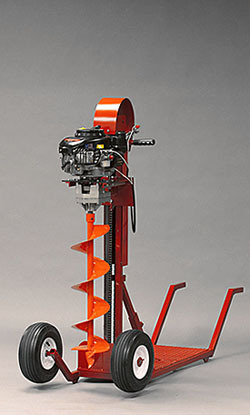 We listened to our customers requests for a highly compact, one-man, post hole auger that was both powerful, portable, and easy to use. 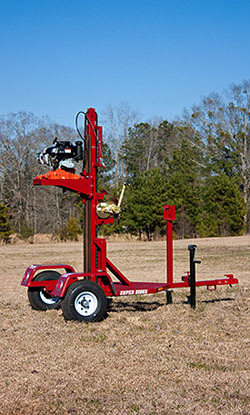 The Ground-Hawg incorporates the same balance of power, engineering and safety features that makes every other Hydra-Drill product the leader in its field. The Ground-Hawg pivots up to 30 degrees and can be used for soils investigations as well as post-hole digging. The Ground-Hawg features a 6.0 HP Briggs and Stratton engine..
call David Groesch at 1-855-457-4469.